Sorry for the long delay in posting … there was this thing, and then this other thing, and then I had to switch to WordPress (which is a thing in and of itself), and then I did a bunch of sewing (watch this space for pictures, coming soon) and well, you know how it is. The sidebar over there (–>) is still under construction; let me know if there are any links you’re missing. Ditto broken image links … I’ll be re-linking all the pictures to Flickr sometime soon-like. The fabric is some Liberty bought yonks ago in the UK. 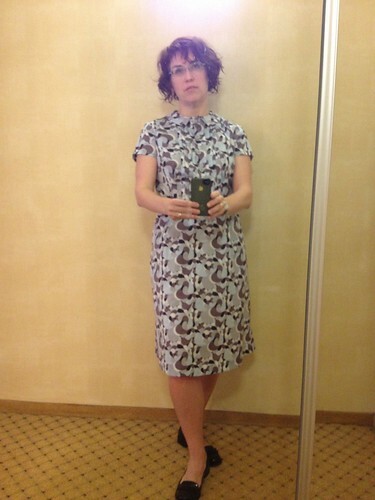 The dress actually makes up really nicely in Liberty, something about the tucks. Putting in a three-inch hem helps it hang well, too. Anyway: hi! I missed you guys! What’s new with you?